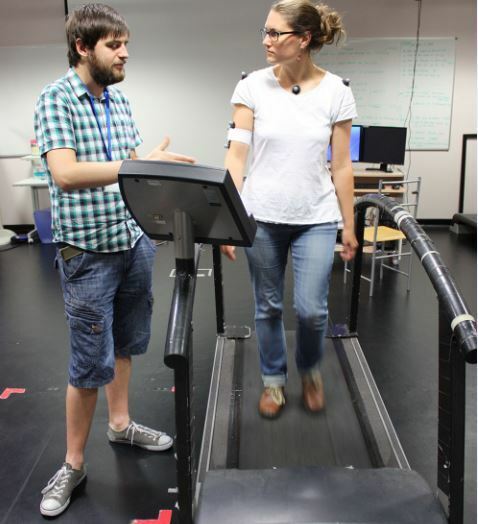 Portsmouth Uni researchers claim the way we walk can give clues to how aggressive we are. "When walking, the body naturally rotates a little; as an individual steps forward with their left foot, the left side of the pelvis will move forward with the leg, the left shoulder will move back and the right shoulder forward to maintain balance. An aggressive walk is one where this rotation is exaggerated." They also used a standard personality test called the 'big five' to assess personality traits including openness, conscientiousness, extraversion, agreeableness and neuroticism. Together they can help map the way people think, feel and behave. Mr Satchell said: "People are generally aware that there is a relationship between swagger and psychology. Our research provides empirical evidence to confirm that personality is indeed manifest in the way we walk. "We know of no other examples of research where gait has been shown to correlate with self-reported measures of personality and suggest that more research should be conducted between automatic movement and personality." Mr Satchell said identifying the potential relationship between an individual's biological motion and their intention to engage in aggression could be used to help prevent crime. "If CCTV observers could be trained to recognise the aggressive walk demonstrated in this research, their ability to recognise impending crimes could be improved further."